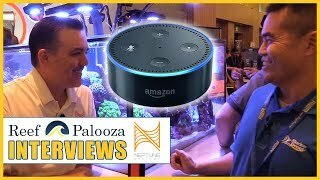 How does the Neptune Systems Apex aquarium automation system really work? Reef Hacks files this unbiased report. 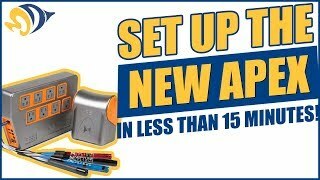 Prevents catastrophes by continuously monitoring key parameters in your aquarium, takes corrective actions, and alerts you by smart phone when something needs attention. Automatically monitors the safety and operation of the tank’s electrical equipment, ensuring it’s functioning correctly even when you aren’t home – and alerts you in case of malfunction. 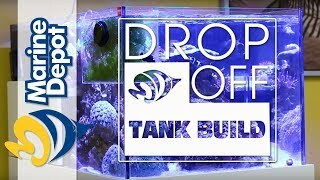 The software creates a database of test results, tank maintenance, livestock, and aquarium observations so you can correlate aquarium conditions to the things that are happening inside the tank like coral growth and fish health. Knowing how your aquarium is doing from anywhere in the world provides peace of mind. The APEX Display module is a sleek and compact way for you to interact with the APEX and control nearly every aspect of your aquarium. You’ll still be able to control your APEX from Neptune Systems’ aquarium command center, APEX Fusion, but it’s extremely handy to have the Display Module mounted near your tank to easily monitor parameters and control equipment without having to rely on your phone, tablet, or computer. Speaker inside has multiple audible alarms to alert you of a water leak, temperature fluctuation, etc. Just bought this package and i am so far impressed with the simplicity of how it hooks up. The wifi is very good ,but i also have it connected via ethernet as well . Very pleased so far, a bit expensive, but worth Every penny! Works great. does what it says on the box. Very expandable. other than shelling out the money for it not a lot calibration can be a bit frustrating. I have been keeping reef tanks since the early 90's and have always regarded controllers as an overly expensive luxury. When I set up my new tank after pricing out the controllers I needed on it to do what I wanted to do . It was almost the price of the Apex and I would not of had remote connectivity. So I bit the bullet and bought one. The setup was indeed a little frustrating but after I got it on the wifi it went better. 1. Do not calibrate your salinity probe right away. Allow to soak in your tank for a week. Watch the reading it will raise over time when it levels out then calibrate it. 2. when calibrating your salinity probe or any probe for that matter, float the calibration fluid so it is the same temp as your tank. 3. dont trust any probe with out back up and calibrate once a month. 4. if you use the solenoid valves remember these are diaphragm type valves and will not work without a pressure differential across them. In other words they will not work in gravity fed applications. 5.The display is great when you have wet hands and dont want to fumble for your phone. i really cant imagine not owning this. this controller makes my life so much easier now. its expensive up front, but its well worth its investment. trust me!